Although I'm having bug issues with Record, I still love Reason. Drop all tips and tricks here. Now I'll be honest, my technical vocab isn't always the best, I was self taught and I just hook stuff to other "stuff" knowing what it does but not know the correct "term". -Mclass output to Combi "from devices"
-Mclass input to Combi "to devices"
now go into the redrum and find a real deep bass, and program a pattern with that bass drum lets say ever four steps, if you set the threshold all the way to the left, the ratio all the way to the left, set the attack all the way to the left (short attack) and release all the way to the left (longest release time). Now the bass drum with these setting will cut the sound (in this case the Thor, in and out and make it wobble or move) or least thats how i descibe it. You can use this for multiple things, i do it often to samples used for atmospheric effect, like air or white noise, but it gives it movement, and if you sync tempo in reason to your mpc the effect will move in time or on beat. Last edited by ArKyve-31 on Mon Aug 29, 2011 4:11 pm, edited 1 time in total. just adjust the decay time of the kickdrum to get a desired "PUMP"
I look forward to your 2 page spread in CM UK. Seriously, sound advice. Sidechaining is realy come into own once you have multi-bands chopping and ducking frequencys and overall rewarding. I bought CM for about 4 1/2 years straight, literally learned everything I know about modern production from it, I fortunateley already knew how to sample and a bit of hardware. 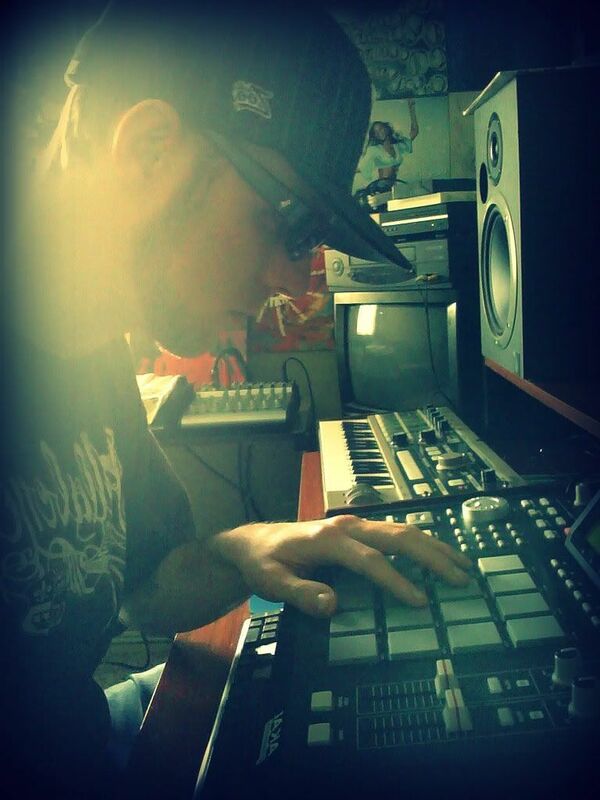 The sidechain thing with a lot of people to me, is it used less in hip hop, so people don't really get it. But in literally any other electronic music it's gold. Arkyve's big screenshot had me thinking of CM right off. Expand the category '101 Creative Reason Projects' on the right hand side. Probably the best Reason blog/ tutorial site currently out there IMO. Thanks to Robert Anselmi for all his work putting this blog together. clint ... never seen that website and DAMN thats awesome!!! 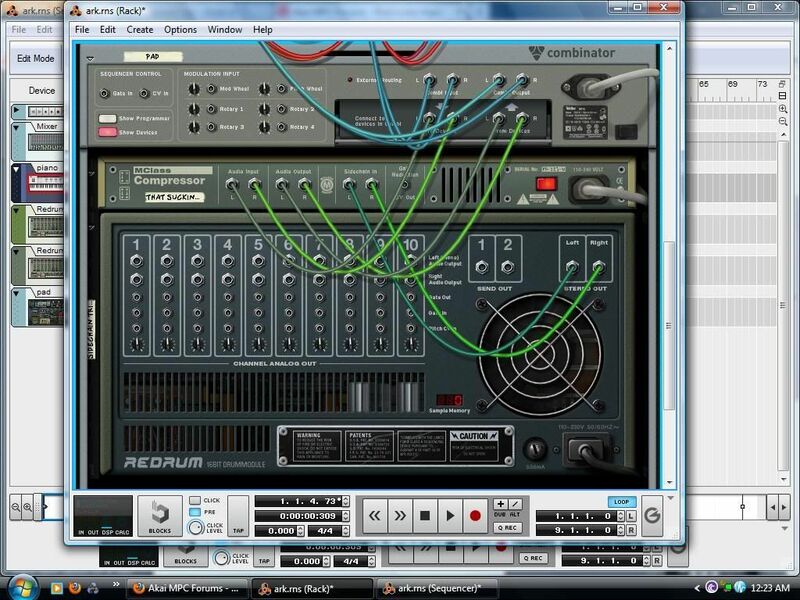 btw i love reason without a doubt..
Set the polyphony to 1. Set the release to max. That 101blog was slept on, never saw it. only thing missing from 4 to 4 is the kong which is propellerheads attempt to add a mpc type rack mount, which also includes the nurse rex, and then the overall ability to sample, which i never use reason for anyways. I use it more but having several issues with record and syncing the mpc to it, everything is set right, but there must be bug because it acts unstable and I can't mutli track out to it. I was gonna start a new thread with this info but though I'd post it here sense it is a tutorial... this is the latest tutorial from the Props themselves on the ALL NEW Alligator triple filter coming to Reason 6. This thing is next level. Here are some other resources you guys may find useful. You must be a registered user to download these. Other free sites that don't require you to be a register user at Propellerhead although some may require you to sign up to the site. 769 files on this site alone! Some of these may or may not work. Most should though. http://www.reasonstation.net/refills/ - Register and get some. http://reason.fan.free.fr/ - Huge Collection of Free for all. http://www.freewebz.com/dorumalaia/ - FX, pads, voices, etc. http://www.reason-why.net/htmls/download45.html - patches and refills. If you didnt set slice points in recycle like I mentioned aboved you now adjust the chunk trig sections to your liking, and the sample doesn't respond to tempo change anymore, only pitch adjusting. Last edited by ArKyve-31 on Tue Jul 03, 2012 5:02 pm, edited 1 time in total.